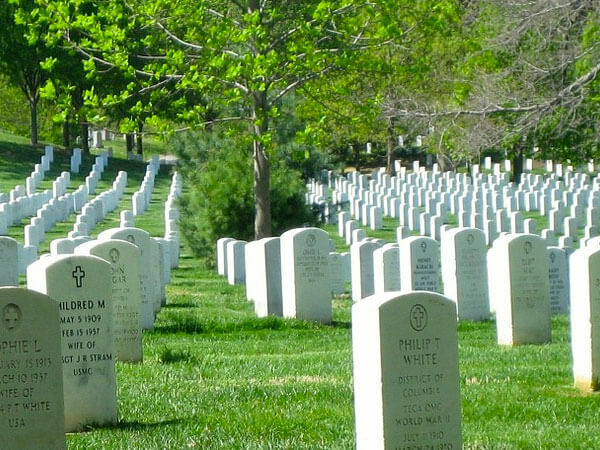 The Department of Veterans Affairs (VA) furnishes upon request, at no charge to the applicant, a Government headstone or marker for the grave of any deceased eligible veteran in any cemetery around the world, regardless of their date of death. Flat markers in granite, marble, and bronze and upright headstones in granite and marble are available. Niche markers are also available to mark columbaria used for inurnment of cremated remains. Please note there is no charge for the headstone or marker itself, however arrangements for placing it in a private cemetery are the applicant's responsibility and all setting fees are at private expense.